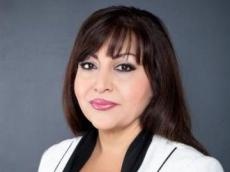 The report of the World Economic Forum on global competitiveness demonstrated not only the success and achievements of Azerbaijan, but also the interest of the world political and economic elite in the country, the chairman of the Nizami district organization of the Yeni Azerbaijan Party (YAP), member of the Azerbaijani Parliament Sadagat Veliyeva told Trend Oct. 17. An analysis of the report clearly shows that Azerbaijan has become a model of dynamism and sustainability for the countries of the world, she added. She said the report clearly noted that Azerbaijan has significantly improved its position on such indicators as education, business dynamics. "An important aspect that should be particularly noted is that Azerbaijan is highlighted in the report on global competitiveness as a country with a high level of social equality in the world. It is this aspect that shows how far our country has advanced in the process of building a welfare state," the Azerbaijani MP said. Veliyeva added that Azerbaijan scored a 100 percent points for the level of supply of energy to the population and climbed to the first place. "This is by no means accidental because the major success has been achieved in social infrastructure in Azerbaijan under the leadership of President Ilham Aliyev. In the last 15 years alone, more than 440 bridges, over 3,100 schools, 642 medical institutions, 43 Olympic sports complexes were built, 265,000 internally displaced persons were provided with new houses, apartments, 30 power plants were built, gasification rate in the regions reached 95 percent, the rate of uninterrupted provision of drinking water to the population reached 70 percent, four water reservoirs, namely Takhtakorpu, Shamkirchay, Goytapa, Tovuzchay reservoirs were built," Veliyeva said. She said all of these things clearly serve the peaceful life of the Azerbaijani people.